The marriage certificate for William George Meredith lists his name as George William Meredith. 1 Federal Census, OH, Cuyahoga County, 1910, Cleveland Ward 25, E.D. 378, Sheet 2A, Image 3 of 32, Ancestry.com (Online Census Images). 2 Ohio, County Marriages, 1789-2013, Marriage certificate for George William Meredith and Ida Burgess, FamilySearch.org (Online Database). 3 The Sandusky Star-Journal (Sandusky, Ohio), 26 JUL 1900, p. 4, Obituary for mother-in-law Caroline M. Burgess, Newspapers.com (Digital Library), www.newspapers.com. 4 IMDb.com, "Burgess Meredith Biography", (accessed 03/30/2015). 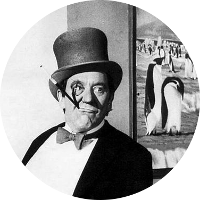 5 Wikipedia, "Burgess Meredith", (accessed 03/30/2015).